Interactive tools to understand the people you serve. 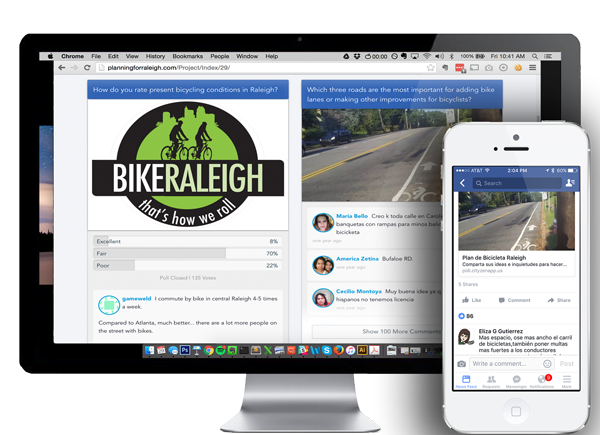 Host projects and deploy geo-targeted messaging to inform and engage thousands in the public process. Communicate across multiple channels and bring the data together in one place. Leverage data visualization tools, comment tagging, and mapping tools to build a coherent public narrative. From meeting attendance, to social interactions, to emails and online survey responses, keep and track it all in one place. Thank you, we'll be in touch to get your demo setup!